Malaysia has been the ideal tourist destination for a long time now. From beautiful beaches and amazing street food to a lavish cultural heritage, Malaysia has everything that a traveller’s soul craves. Small in size, but enormous in character, this south-east Asian country makes for the perfect country to visit this holiday season. This article will give you all the information you need to know while applying for your Malaysia Tourist Visa. First off, you have to identify if you are indeed required to apply for any of the tourist visas available to enter Malaysia. The residents of the following countries holding a valid passport are the ones required to apply for a Malaysian tourist visa. Further, you can apply for your Malaysian tourist visa from anywhere in the world, apart from when in Malaysia or Singapore. What are the various Malaysia tourist visas that are available? The table given below gives a detailed explanation of the various Malaysia tourist visa regarding fees and duration of stay allowed. Do note that the fees mentioned below is for a Malaysia Tourist Visa for Indians only, and we recommend you check with your local Malaysian embassy on the visa fees applicable from the country of your origin. Now, let us try to understand the different types of Malaysia Tourist Visa’s that are available and which one you should ideally choose. eNTRI visa stands for Electronic Travel Registration & Information. The Malaysian Government recently started this initiative under a visa waiver programme specifically to encourage more Indians to visit Malaysia. Once you apply for this type of visa, you will receive an eNTRI note, which acts as a kind of visa confirmation at short notice (typically within 48 hours). All you have to do is present this eNTRI note when you arrive in Malaysia at the immigration desk. The best part about the Malaysia eNTRI visa (apart from the very short processing time!) is the fact that you can apply for this kind of visa online. This makes the whole visa application process easy and efficient. The Malaysia eNTRI visa can be used for both business or tourist purposes. The only catch is, this visa only allows you to stay for a maximum of 15 days in Malaysia. If you have a longer trip planned in Malaysia and need a bit more flexibility, read on further below. Are you keen to make a longer trip in Malaysia? Maybe you would like to spend more time visiting friends and family as opposed to just checking off all the tourist hot spots Malaysia has to offer. Then we suggest you apply for the 30 days single entry eVISA. As the name suggest, you get to enter Malaysia a single time on this visa, and you are eligible to stay in the country for a period of 30 calendar days from entry. Malaysia 30 days multiple entry eVISA? The 30 days multiple entry eVISA works exactly like the previous one except for one big difference – you guessed it – it’s a multiple entry visa! As the name suggests, you can use this visa if you intend to hop in and out of Malaysia on an extended trip. This is obviously the most flexible type of visa and is perfect for business travellers whose itinerary might be subject to change at any given moment. Your Malaysia Tourist Visa can be obtained online and is most recommended. However, for Indian and Chinese nationals, visa on arrival is an option as long as you are arriving directly from Indonesia, Singapore or Thailand and hold a valid visa of those countries. A Malaysia tourist visa on arrival is also extremely expensive – about 100 USD! We only recommend a visa on arrival if you have made sudden changes to your travel plans and would like to visit Malaysia in between a South East Asia holiday or business trip. A Malaysia tourist visa applied for online will cost you much less than what you would pay for a visa on arrival. You can do away with the long waiting periods by procuring your Malaysia tourist visa online almost immediately. Watch out for visa scams online! There are many websites on the internet that provide online bookings for Malaysia tourist visa. There is always the fear of getting conned and you aren’t always sure which website is a legitimate one. And tons of scams abound. Thankfully, after having used various such visa services we have summed up our recommendations below. Both are trustworthy and reliable websites – one of which is the official website of the Government of Malaysia, and the other is that of a valuable agent who gets the job done quickly and efficiently for a small price. evisamalaysia.in: A notable and reliable website that has been serving in this business for many years now. Applicants for a Malaysia tourist visa have never been disappointed and rank this website as one of the most sought after agents for visa bookings. Windowmalaysia.my: Controlled by the Malaysian Government, this is an official website. Applicants can use this website to obtain any information regarding their Malaysia tourist visa. A scanned colour copy of your passport. This must include both the front and back. A valid and confirmed flight ticket in and out of Malaysia: We had evisamalaysia.in make temporary bookings when we traveled just so we can get through the visa application hurdle. Once we got the visa approved, we had the time to search for the best flights and make our bookings at peace). Hotel bookings: Again, we had evisamalaysia.in to take care of this for us. When we traveled to Malaysia, at some places we booked ahead and at a few places we decided to extend our stay is necessary. If you book the hotel plan upfront just for the sake of your visas, its going to be very difficult and expensive for you to change itineraries later. took care of this. There’s also the added issue of your photograph. You see, every consulate of a country has its own requirements on what your photograph should be like when you put in your application. The Malaysian tourist visa is no different. You have to stick to their regulations, and if something doesn’t seem right to the visa approval officials, you might even be summoned to one of the domestic consulates closest to your residence. Luckily for us evisamalaysia.in took care of this as well, and made sure our photographs met all the requirements for a Malaysia tourist visa. Truth be told, we sent them a photo taken on our iPhone, and they even got down to modifying that. They sent us this little note on photograph requirements for the online application of the Malaysian tourist visa, to make it useful for all our readers. They were also extremely kind to provide the following guidelines for the documents that need submitting, explaining each and every point very carefully. We found this very useful when we were going through our Malaysia tourist visa application process ourselves. Do note that the prices mentioned below includes their own fees for applying on behalf of you, modifying your photograph, temporary hotel and flight bookings etc. It’s not much and helps save a lot of time. That’s a lot of information just to understand the basics of the Malaysian tourist visa! Now lets get on with the application process. There are two ways to apply for the Malaysian tourist visa as mentioned earlier. You either use an agent who just makes the whole thing so easy and simple for a small fee, or you are brave enough to do it yourself through the official website! Click this link and open a new window. Click the “Apply for Malaysia eVisa” tab you see at the top (like in the image below). Go ahead and fill the visa form. Select the visa type that fits your requirement. If you’re not able to decide which one is for you, fret not – the agent will help you out. You can either chat with them on the website or ask to be called back. Once you’ve filled in your basic information, this agent will give you a call to confirm if everything is right and take the visa application process forward. You can also get all your doubts or questions clarified in detail at this point. At a later stage you will be asked to pay 10% of the total cost of the visa as a commitment to the agent to take the process forward. Once this is done, your visa is applied for – you’ll get text updates on next steps frequently from the agent as well. And once your visa is through, you’ll be contacted with the good news! When you apply through the Government of Malaysia, the process is strict and regimented. You have to create an account before you proceed with the visa application. Every unique eNTRI visa needs its own account. For instance if you need a Mayalsian tourist visa for 10 passports in your family, you will need to create 10 different accounts on the Government website, each one possessing its own unique email ID. A tedious process! Log on to windowmalaysia.my, the official website for Malaysia visa. Keep in mind that it is ‘.my’ and not ‘.com’. Click the ‘apply online’ button. Now you have to enter all the information in your passport online. Check out the sample passport below and make sure you follow all the guidelines carefully before you hit submit. Once you have submitted all this information, you should receive an email with details of the successful account creation. That will also tell you how you should proceed with the visa application itself. Do Indian citizens need a visa for Malaysia? Yes, all Indian citizens need a visa to visit Malaysia. There are three types of tourist and short term stay visas, namely Malaysia eNTRI visa for 15 days, 30 days single entry visa, and 30 days multiple entry visa. Scroll further up this article to understand which visa might be the best fit for you. How long does it take to apply for a Malaysia tourist visa? Receiving approval of a visa application depends on the type of visa you apply for. The Malaysia eNTRI visa for 15 days is usually approved very quickly – within 2 working days. How can I apply for a Malaysia tourist visa? You may apply for a Malaysia tourist visa either through a reliable agent or through the official government portal, which is www.windowmalaysia.my. An agent will take care of all the preliminary and application requirements because of their experience in the field. Whereas if you choose to apply by yourself, make sure you follow our application guide as detailed above. Can Indian passport holders get visa on arrival in Malaysia? Yes, the visa on arrival facility is available for all Indians. Just one important point though: you should be arriving from a third country namely Singapore and Thailand. The visa on arrival facility is not available if you depart directly from India to Malaysia. Thus we consider the visa on arrival facility at best an emergency option to exercise if you must enter Malaysia while on a tour of Singapore or Thailand. How long is my Malaysia tourist visa valid for? Your Malaysia tourist visa is usually valid for a period of 3 months from the date of issue. So make sure your travel plans are well within this period! Can I work in Malaysia with a Malaysia tourist visa? No, this is entirely impossible. If you wish to work in Malaysia, you must first obtain a work visa from the Malaysian embassy in your country. The Malaysia tourist visa is only applicable for tourist or business visit purposes. Can I convert my Malaysia tourist visa to a work visa? To work in Malaysia, you must first get a work visa from a Malaysian embassy in your country. For this, you must have a job offer from a Malaysian company in order to apply for a work visa. 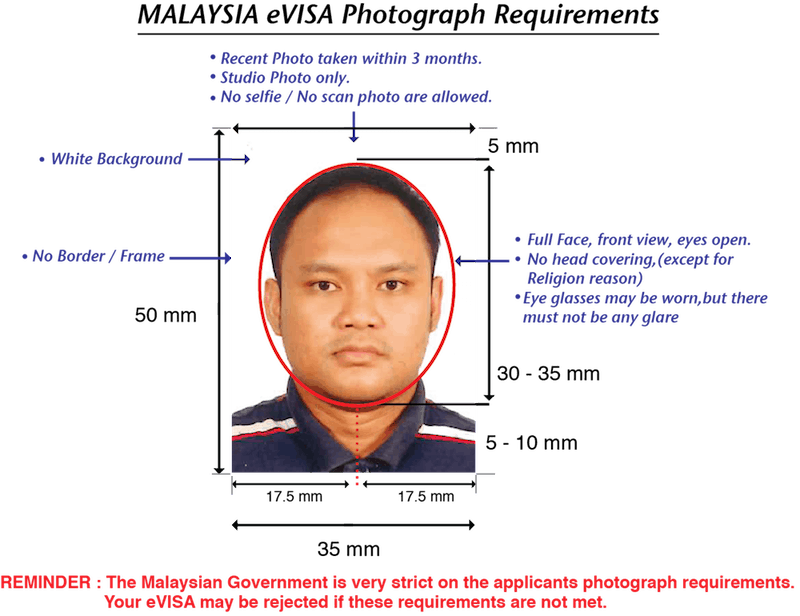 How many days am I allowed to stay in Malaysia without a Malaysia tourist visa? Depending on the passport that you hold, you are allowed to travel to Malaysia without a Malaysia tourist visa for a stay of up to 90 days, 30 days and 14 days.